Washington-born, son-of-a-preacher-man Allen Stone returns to Australia this September for one show only at The Croxton Bandroom. The R&B/Soul singer will be in the country for the event of his life – to wed his Australian fiancée, the focus of his latest single “Brown Eyed Lover”. While his third studio album ‘Radius’ - made in collaboration with Swedish soul singer/songwriter Magnus Tingsek, producers Benny Cassette (Kanye West) and Malay (a co-producer on Frank Ocean’s channel ORANGE) – covered matters such as depression, technology, heartbreak, regret and joy; the single “Brown Eyed Lover” marks a new chapter for Stone with a fresh album due for release later this year. 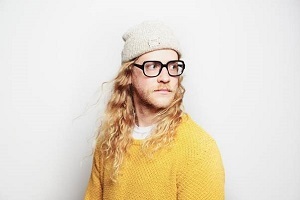 Allen Stone gets set to lay his warm, heartfelt, R&B, funk and blue-eyed soul on the city of Melbourne this September!